Who are the leaders we need? Humanising our workplace… Yes, good idea, but how will we know if we’re succeeding? 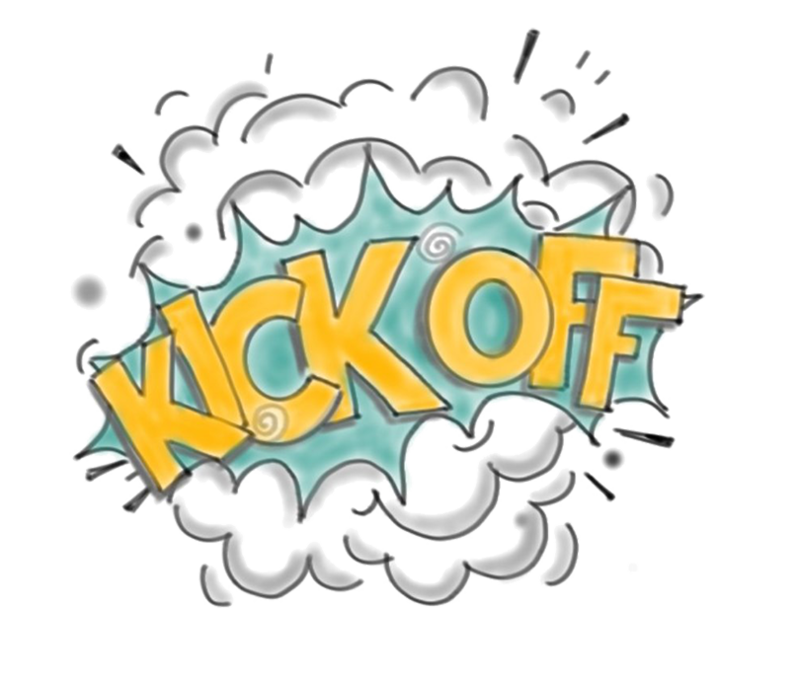 Is it all kicking off in your kick-off? If not, maybe it should? 80 accountants in an evening! An evening with 80 other accountants exploring challenges around communicating and engaging non-financial people with financial information may not be everyone’s idea of fun but stick with me…. Where do motivation, inspiration and commitment come from? What do great collaborative working and Argentinian tango have in common? 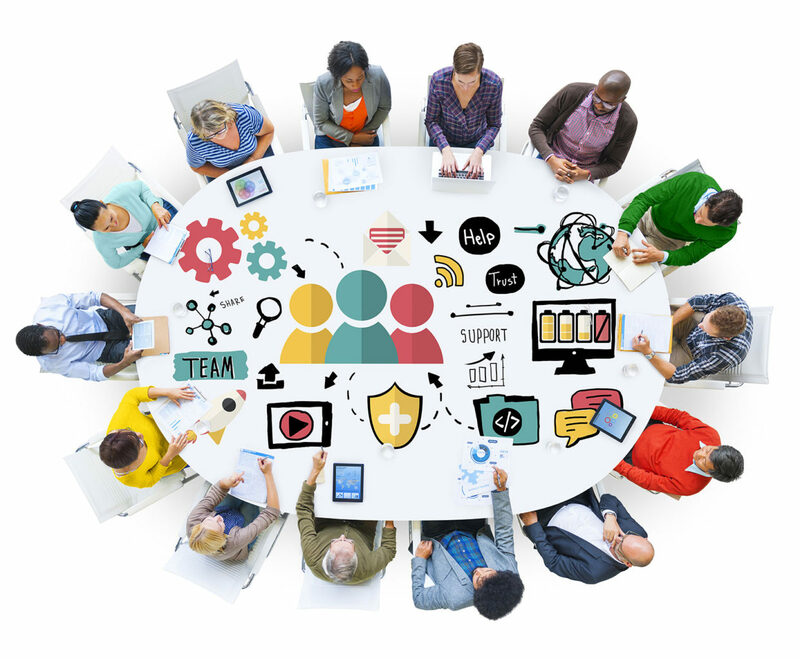 Can organisations embrace agile working models? Sunnie Giles’ article in the 15 March 2016 Harvard Business Review nails the competencies that best serve leaderhip, in its many forms. Our thoughts on leadership align with Sunnie’s writing. Have a read and give us your thoughts on this important topic. 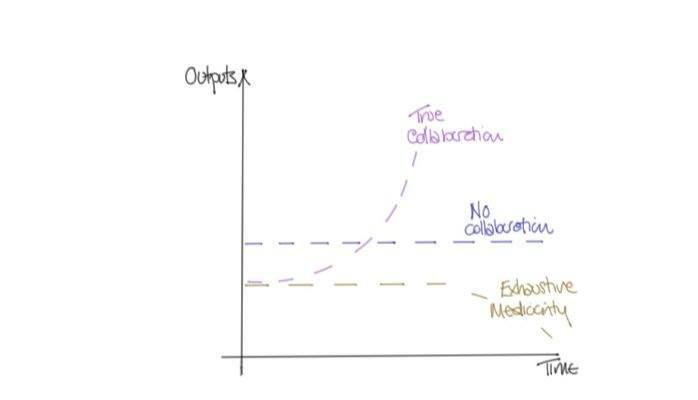 Can distributed teams find quality ways of working? More and more companies, and teams within organisations, are struggling to communicate well, with leaders challenged to keep their local teams aligned to the overall organisational goals, strategies and agreed actions. 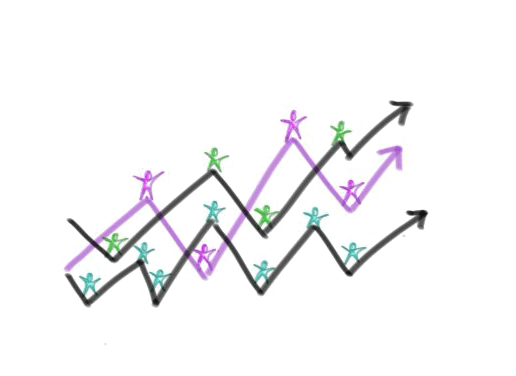 Is there an agile approach to visioning and strategy? Agile has achieved wide acceptance within the project management world. We have been thinking about how agile concepts work in vision, strategy and deployment processes. 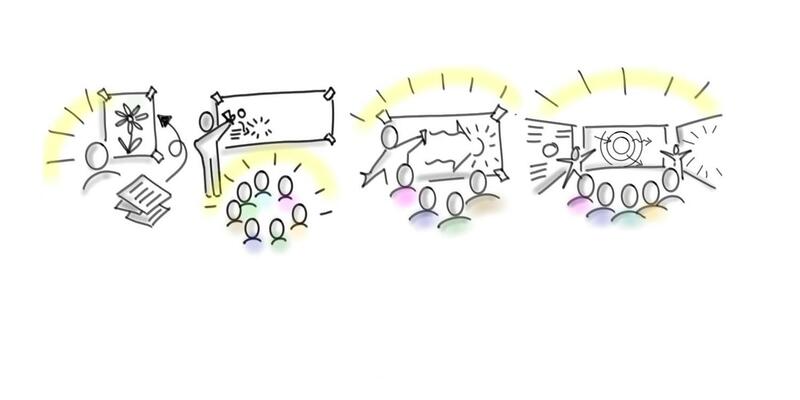 Our question is can meeting facilitation add value as agile co-thinkers with leaders who understand that the world is a constantly changing place. Call us at +44 (0)1628 471 114 or complete our contact form with details of what you want to discuss. 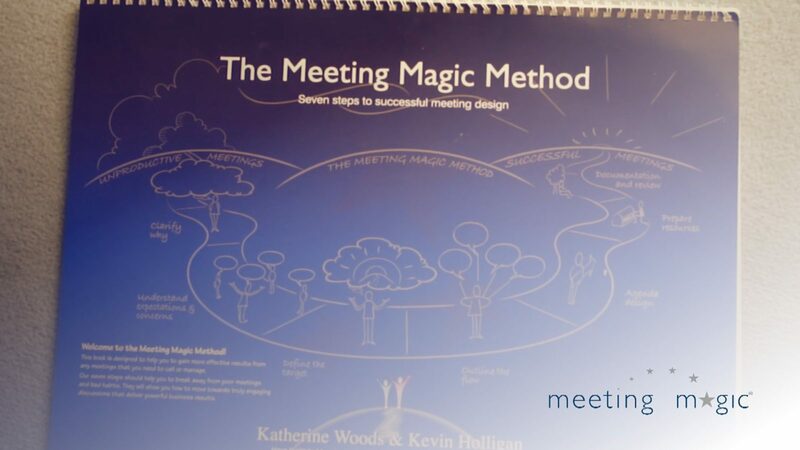 Meeting Magic believes that meeting well has the power to change organisations and, indeed, the world. Start a conversation with us at +44 (0)1628 471 114 or complete our contact form with some thoughts on your next meeting. It is a place to start. Let’s talk. 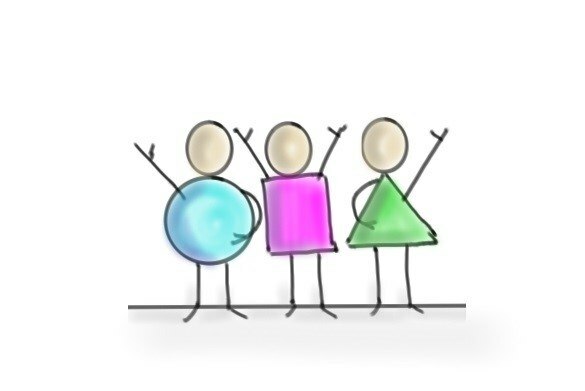 Want some graphic facilitation training in the US? Who influences Katherine Woods’ drive for culture change through meetings? Who influences your thinking and work? Does meeting preparation add value to the final results? For some, planning for meetings is a last-minute, fly-by-the-seat-of-the-pants process that might result in an agenda or meeting plan. We believe very strongly, based on our collective experience, that every minute of meeting planning has a high return value during the meeting and results in robust agreements and actions. Do blended virtual and face-to-face meetings work? We’ve been doing virtual meetings with our clients for some time. Recently, we’ve also been seeing a trend to ‘blend’ virtual within face-to-face (f2f) meetings. This plays out when a global team or group has remote portions of the team not able to join them in the room. 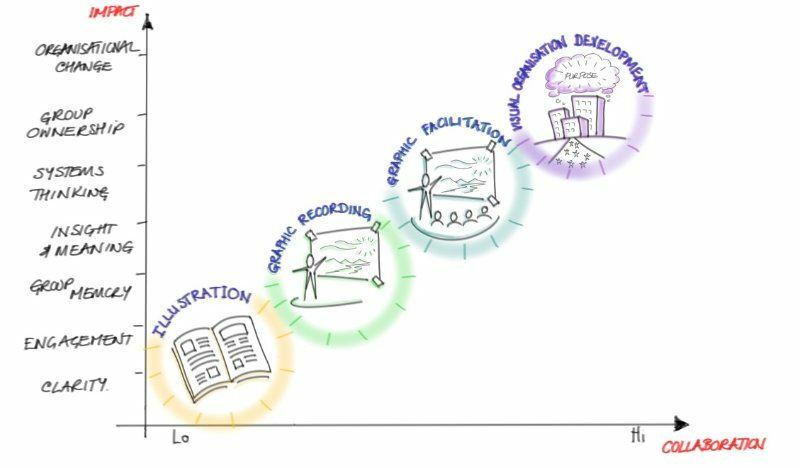 What is the next stage of your organisation? How do we treat each other in the work place? 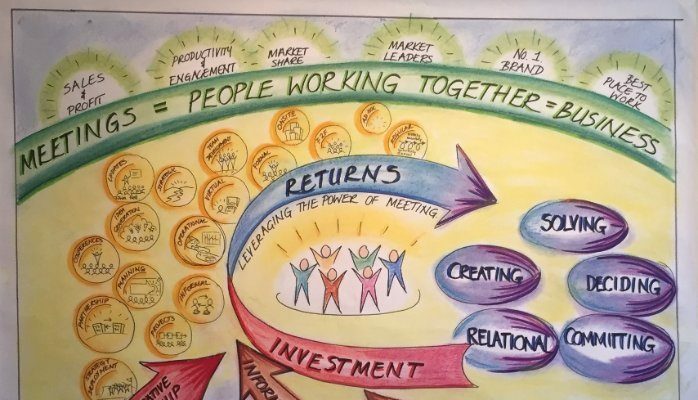 Ever wonder why and how graphic facilitation works? Watch this! 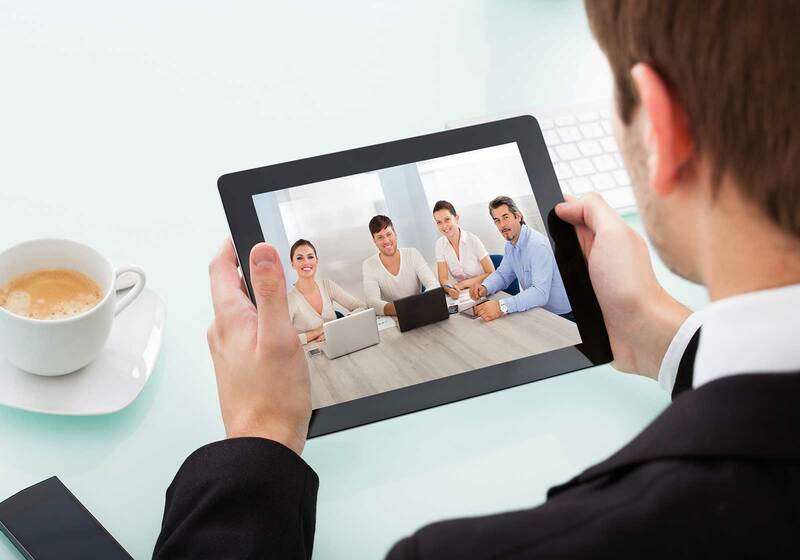 How are your virtual meeting facilitation skills? Virtual meetings are no longer a thing of the future or something only large organisation do because they have to. Meeting in virtual environments, whether Skype, GoTo Meeting, Live Meeting, or any other platform, is now an essential part of collaboration and conversation is all types of organisations. Do we ignore social capital at our peril? Time is very valuable. We are encouraged to make the most of time and be the best that we can be. So what does this looks like on a day-to-day basis once you have your vision for the future and start working towards it? Our thinking exactly! We help build ideas then move those ideas to committed action. To discuss your thinking on moving ideas to action give us a call at +44 (0)1628 471 114 or complete the contact form giving us some thoughts and where you’d like to start the conversation. Is your facilitation a car crash waiting to happen? 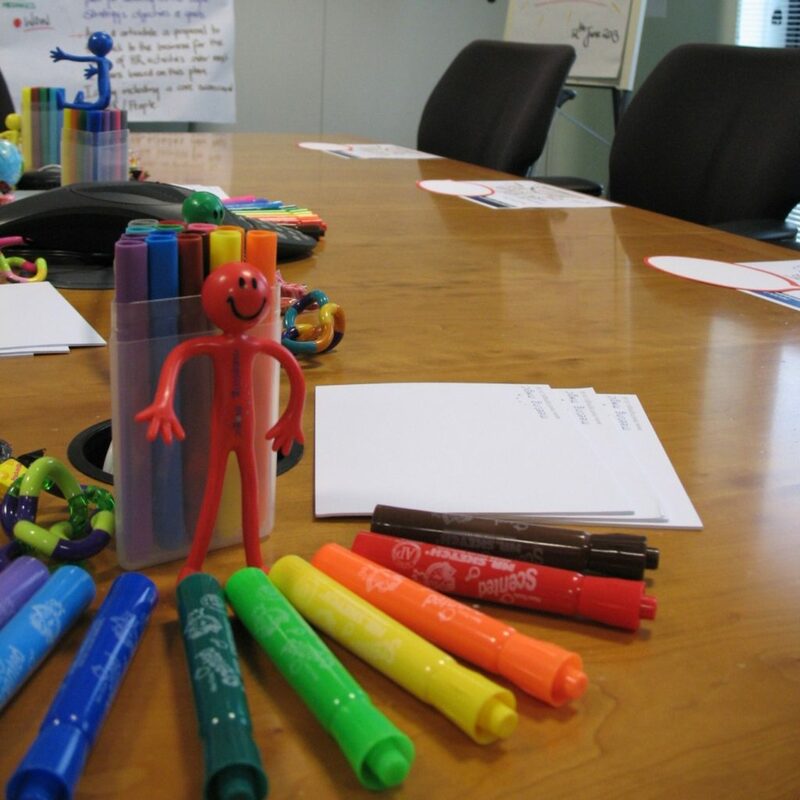 Need the foundations for solid meeting facilitation? Recently, I spent two days at the 7th Developing Leadership Conference held this year at Henley Business School. The forum attracts academics from around the world to present the latest research on leadership development. What is virtual leadership? 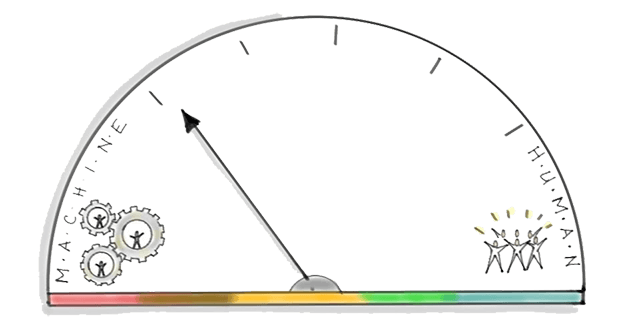 A webcast about creating results from a distance. Do new company structures help? This interesting article opens up new ways of thinking about the structure of companies. 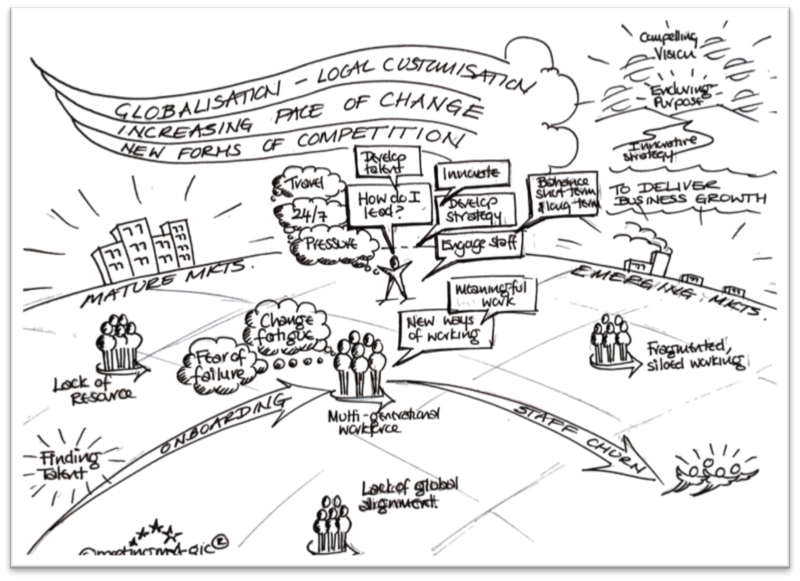 There are several new ways of thinking about organisations and organisational management. But do these new structures really help? Are these new management structures any more successful than legacy structures? We like this quote because it supports our thinking on how to approach meetings with openness to ideas. Holding our own ideas loosely so we are ready to change when we learn from others. Leadership: Is the best defence the best offence? This article in the San Francisco Chronicles online service SFGate published on 11 June 2015 holds that leaders who are defensive about their actions and decisions are less trusted in their organisations. Have a read and then have a think with us. Why do virtual meetings have a bad rap? As I am sure you are aware, an increasing amount of corporate work is done virtually, thanks to technology platforms like Lync, Skype for Business, GoTo Meeting and the like. However, we consistently hear from our clients that meetings in the virtual space have an even worse reputation than those that are face-to-face. Fat Lip Service. A message from AsiaPac. Does science validate visual thinking and graphic meeting facilitation? And you wonder why graphic facilitation is useful? 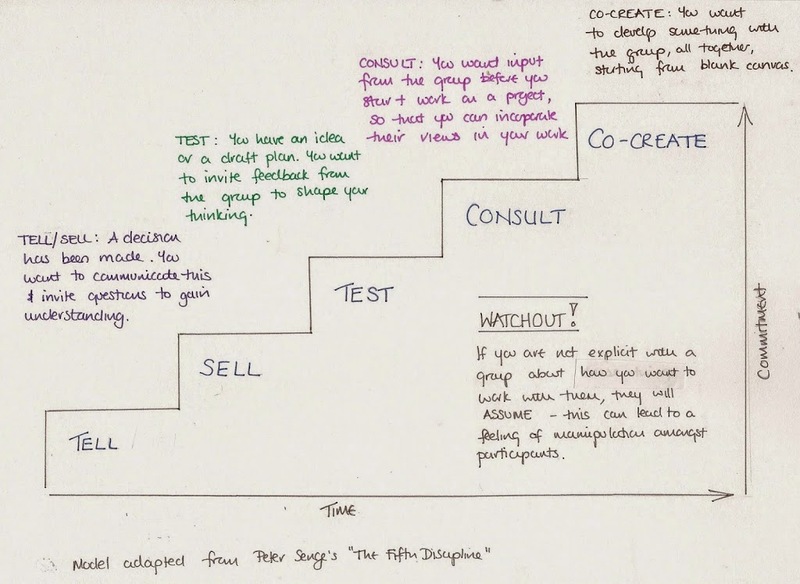 If you want an excellent adventure in visualizing meeting process! We highly recommend this workshop by David Sibbet. If you can’t make it to our Advanced Facilitation Training workshop 9-10 July near London this is an alternative worth considering. Simon Sinek: Why leaders eat last. We know you may have seen this TED talk. Leadership may never be the same! Talk to us about your leadership and how to be what Simon is talking about. +44 (0)1628 471 114. Or, complete the contact form with some basic thoughts and we’ll get back to you. Fiona Stratford: the expanding face of Meeting Magic. 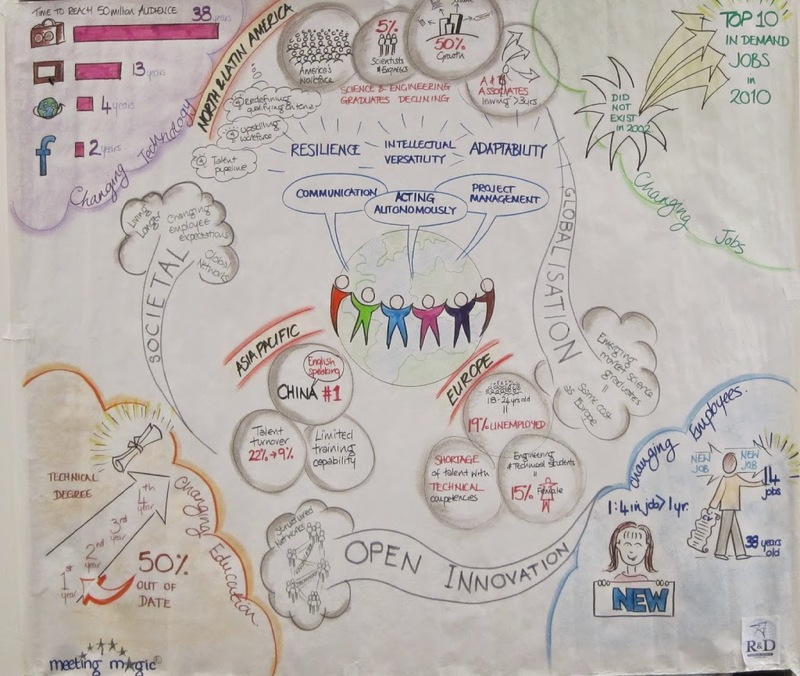 Co-creation in organisations isn’t just for tree-huggers, its a leadership thing! We know that sometimes the language of working together can get a little tree-huggie. 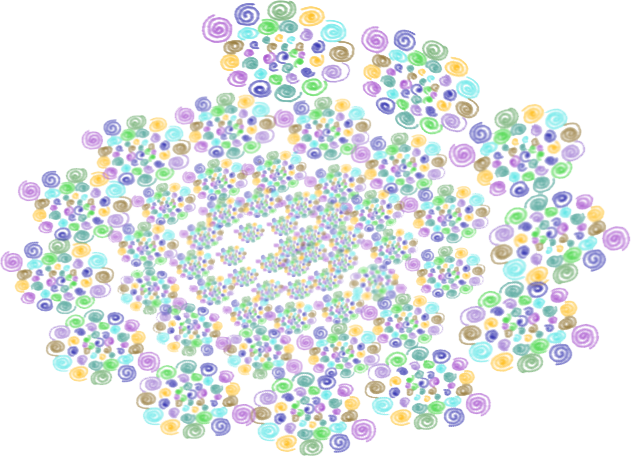 Co-creation can sound like a trip in the woods with flowers in the hair. We get that. Are consultative leaders really leading? Is leadership comfortable with ‘testing’ ideas before committing? Many leaders have clear visions and strategies that they communicate by ‘telling’ and ‘selling’ to stakeholders and the marketplace. ‘Telling’ and ‘selling’, when done well and within a solid communications strategy can be effective and get desired results. Can ‘tell’ be a strong leadership approach? Sometimes leaders need to ‘tell’ people what the company is up to and how the leader wants to get results. Sometimes ‘telling’ is the most efficient and best way to communicate with his employees and stakeholders. Are you a self-taught facilitator? Need some help? Self-taught facilitators are heroes to us because they work hard to get results, create conversations, and find agreement. 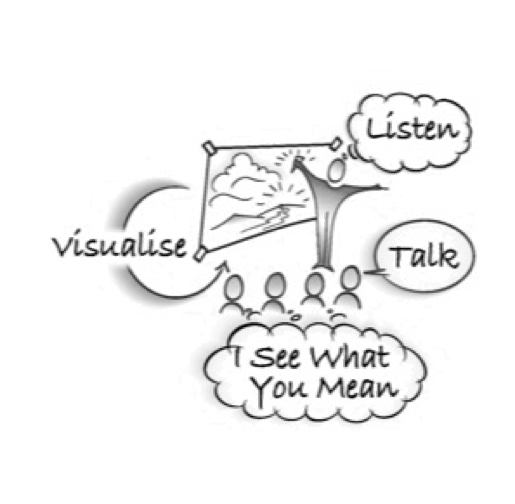 Their facilitation skills become the foundation for strong learning by both adding value and helping align their experience with facilitation best-practices, and adding some highly useful theory to create a solid thought foundation for ongoing work. 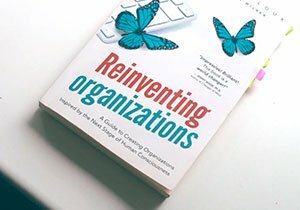 Does your organisation need a reinvention? 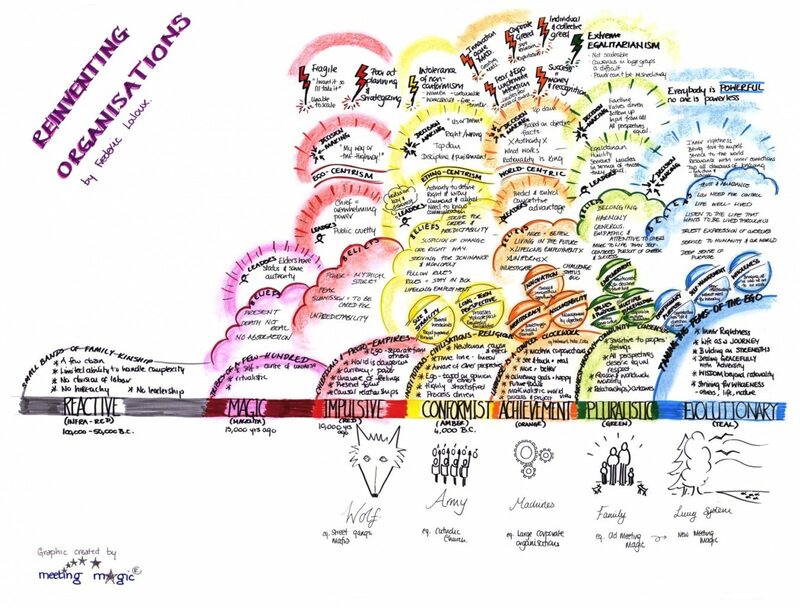 I have been inspired whilst reading the book Reinventing Organizations by Frederic Laloux. 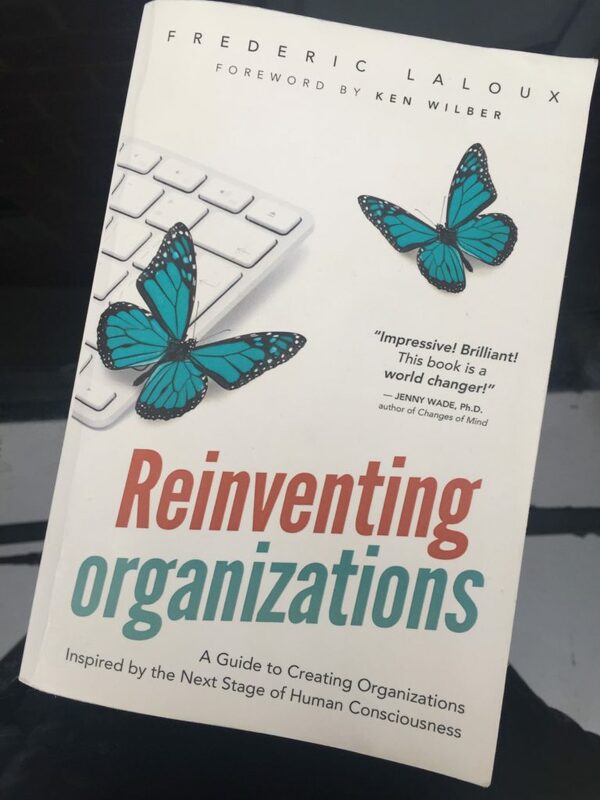 This book has hit the button for me as I have been considering the work we do with our clients and why collaboration feels so hard in some organisations while being so natural in others. The end of meetings as we know it? And, a way to save a precious commodity! Simon Sinek: Start with why! Another Simon TED talk. This one from 2013. The Golden Circle talk about why, how and what. Interesting and inspiring! 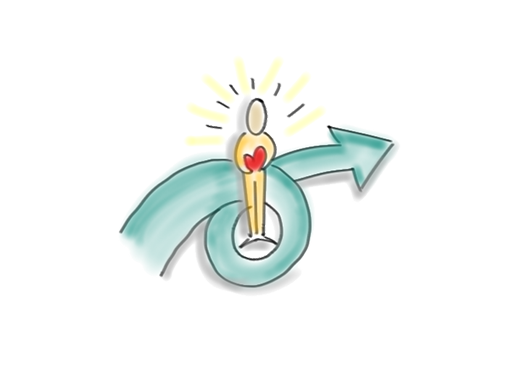 Do you need advanced facilitation skills? Celebrating one year of Scribing Magic! Senior leaders and managers ‘get’ what they need to do. 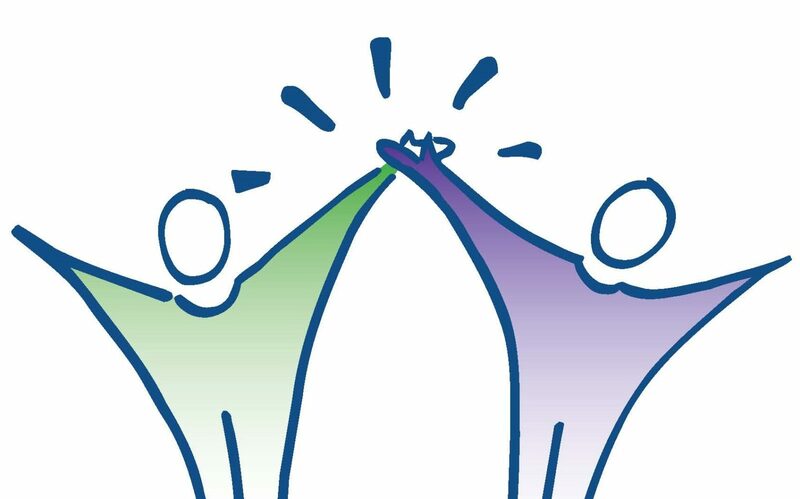 In a recent blog, Katherine said, “Most senior leaders are intelligent and they ‘get’ that they need to collaborate and that collaboration is needed in their organisations.” We firmly believe this. Every day we work with and support highly skilled, thoughtful, focused and talented leaders and managers. This TED talk from about a year ago still inspires our thinking about leadership and the capacity for success. More evidence for whole brain meeting design and meeting culture. We always get excited when we find interesting thinking about visual thinking. 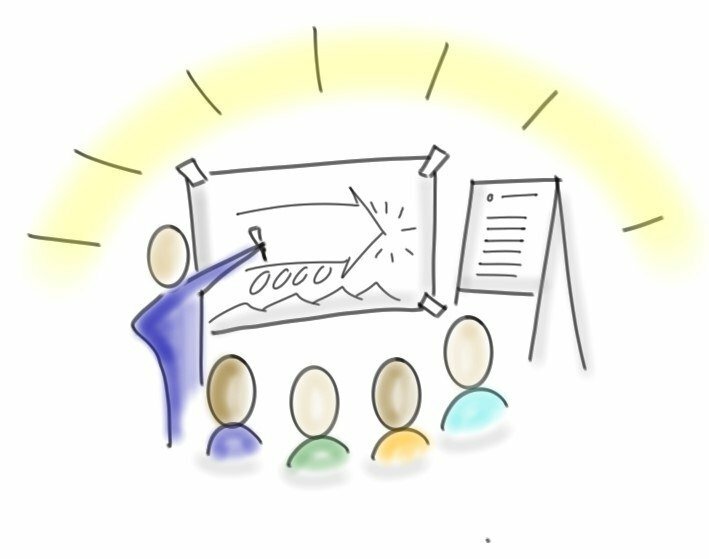 We, of course, advocate for visual thinking in all meetings and when creating a new meeting culture. This article graphically shows why the whole brain works best in communicating and engaging with others. Friday the 13th is a chill day. Sit back. Have a cup of coffee, tea, chocolate, milk or whatever helps you relax. Take a deep breath and enjoy the day. No need to stress. The weekend is upon you. Take a sip and chill. We’re taking a break from seriousness. Join us just for today. Want to advance your facilitation skills? Can humour change meeting culture? Dave Grady has a go at it. Dave Grady is using humour to move people’s thinking about meetings and the culture surrounding them. This one tackles one meeting syndrome and highlights some important messages for moving from bad meetings to good meetings. It can be done. 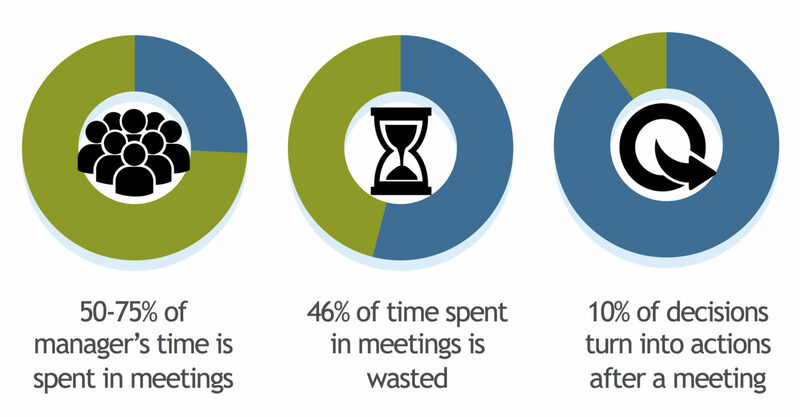 Why do only 10% of meetings result in action? Our own surveys have repeatedly shown that just 10% of meetings result in action. Meaning 90% of meetings do not. Why is this and what can be done about it? I continue to be amazed at the distracting thinking that happens around meetings. The latest doozie I’m seeing pandered about is that meetings should be banned or ban meetings one day a week. Seriously. Ban meetings. Do you see your company here? Huffington Post gets it right! 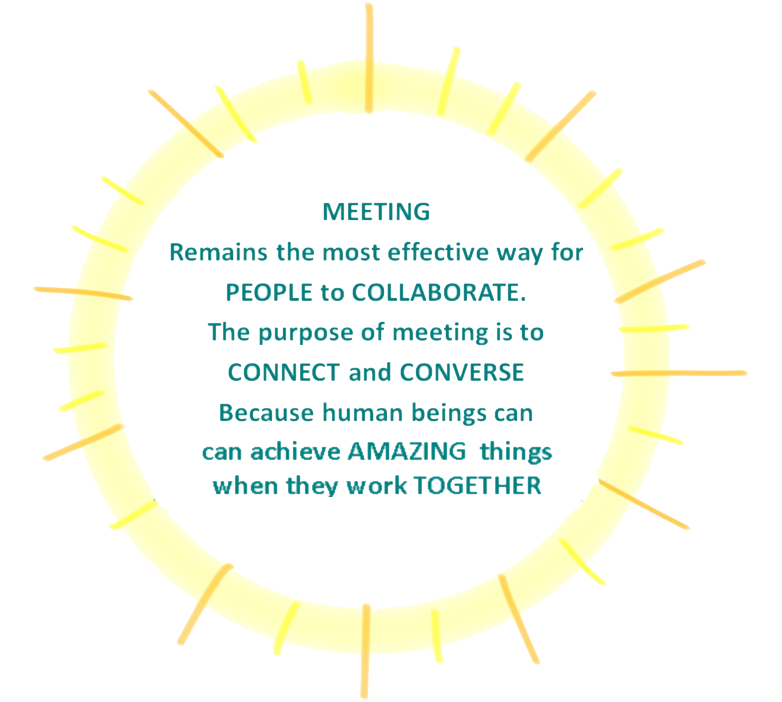 At last I am reading something in the media about the positive impact that meetings can have! This article in the Huffington Post, Bored Boards Are Bad for Busniess. Smart Companies are Fixing That. (February, 2015) highlights how powerful meetings can be (and, frankly, should be) particularly at leadership level. Do you have the right people in your meetings? Ah meetings! You gotta love ’em. Or not. The love of meetings comes with having effective meetings. Sometimes the effectiveness of meetings rely on who is in the room and what they bring to the meeting. Are you creating a list or networking? It is so easy to get caught up in creating lists of people you know but not networking with them to improve your connections in ways that have huge benefits. 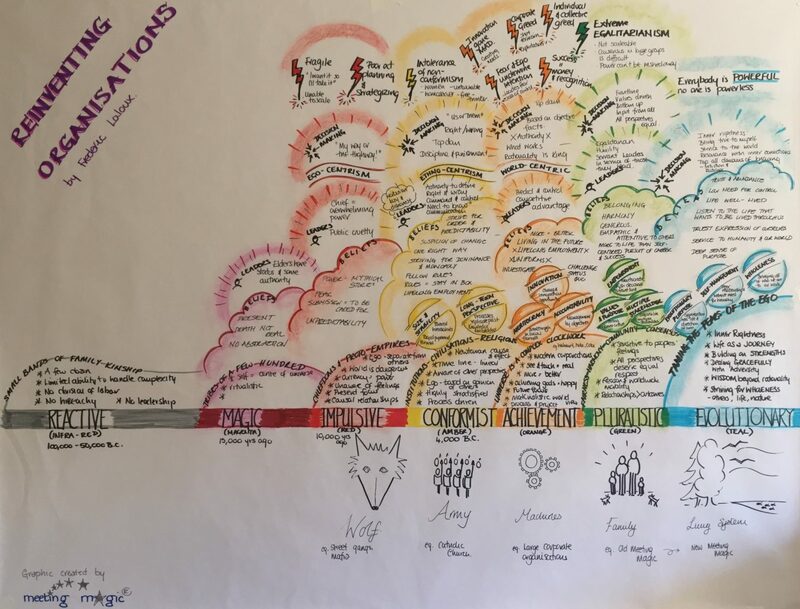 Our good friend and mentor, David Sibbet, has posted a considered reflection on the state of graphic facilitation in today’s meeting world. While graphics is one way Meeting Magic support clients our thinking on this continues to evolve as does David’s. Have a good read. Leaders should focus on achieving more in meetings, not less!! I am compelled to write this having just read the London Times article They Say It’s Good to Talk but in Business, Meeting is Murder by Sathnam Sanghera. I need to have a rant!!! What is the real cause of unproductive meetings? Following an earlier post I found the attached infographic, which supports my arguments about the hidden cost of unproductive meetings in the workplace. I like the visual way this is produced. It shows the power of combining pictures and words. The dynamic 5C’s of meeting culture. In today’s business world of constant change leaders need to find new ways to work. We have outlined these ways in the 5C’s below. 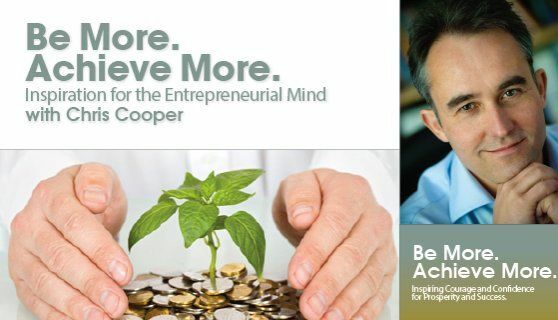 Over the next two quarters we plan to explore each of these 5C’s in more detail, pulling together our current thinking and making connections with other thought leaders. Meeting Magic’s large events and conferences offer. Meeting Magic’s meeting facilitation offer. Leadership’s role in decision making. We are happy to be involved in the best profession ever. Professional facilitation is interesting, exciting, challenging and at times down right fun! 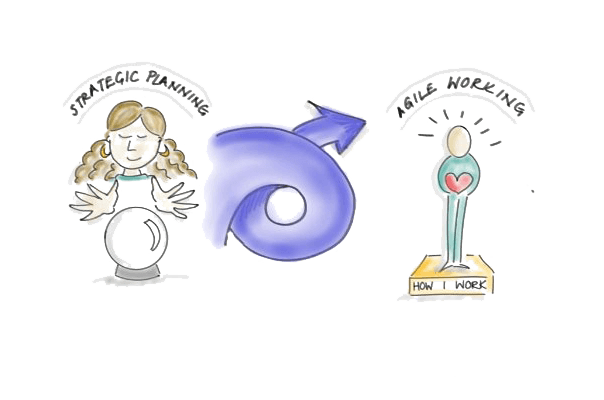 This is International Facilitators Week. Why we go to conferences and events. The two main reasons people go to conferences and events are to meet new people with common interests and to learn from fresh perspectives. Meeting Magic was recently invited to open the Association of Business Psychologists (ABP) conference with a World Café session. The problem with meetings today isn’t necessarily that one meeting has challenges or that one meeting leader has issues. The problem with meetings in organisations is usually a systemic problem that needs systemic solutions. What a way to start a meeting! 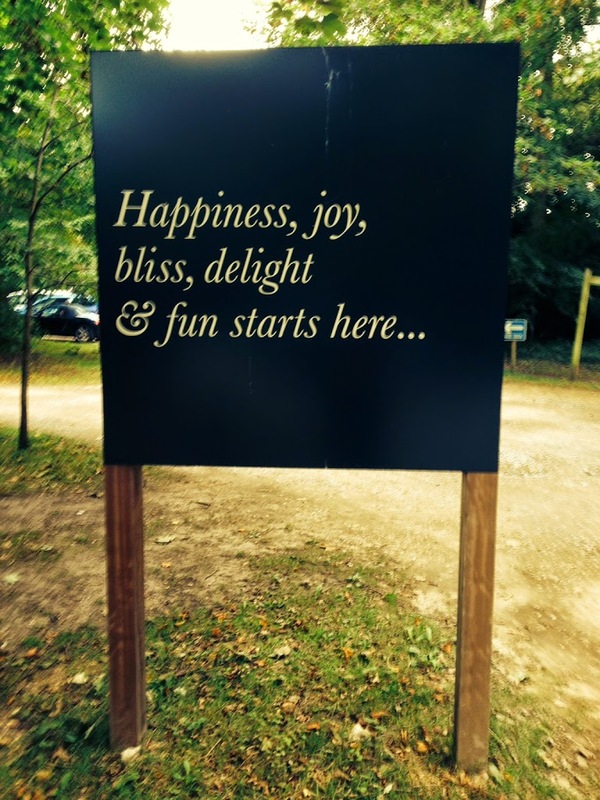 I saw this sign on my walk today and thought it would make a perfect welcome poster for meetings we run. Open the door and vwalla…. The psychology of meetings – why don’t people tell the truth? Badly run meetings steal productivity, costing organisations 37 billion dollars a year. Industry Week calls meetings ‘the Great White Collar Crime.’ * Source: Industry Week. The story of the unicycling MC and other ways of avoiding purpose…. 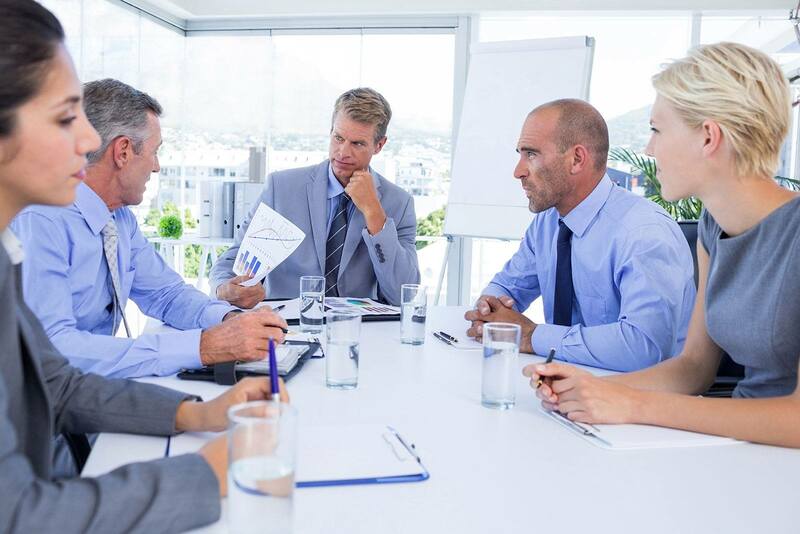 Meetings in large organisations fall into two categories – regular meetings and special meetings. Special meetings are usually driven by change – change in leadership, organisation, direction etc. When a special meeting is initiated there is usually great intention, but somehow along the way this gets lost. #meetingstats: Meeting facilitation really works. Meeting facilitation really works. 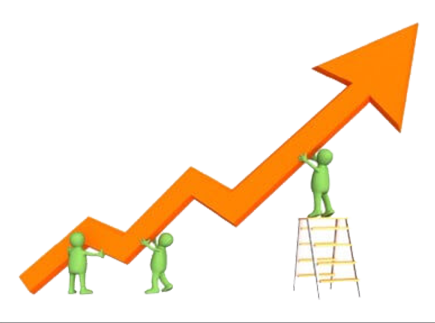 *According to an article in the Fall 2006 issue of The Facilitator newsletter, using a skilled facilitator increases the productivity of a project by 25%. Many large organisations now do employee engagement surveys on a regular basis. This is a trend that seems to have grown over the last 10 yrs. 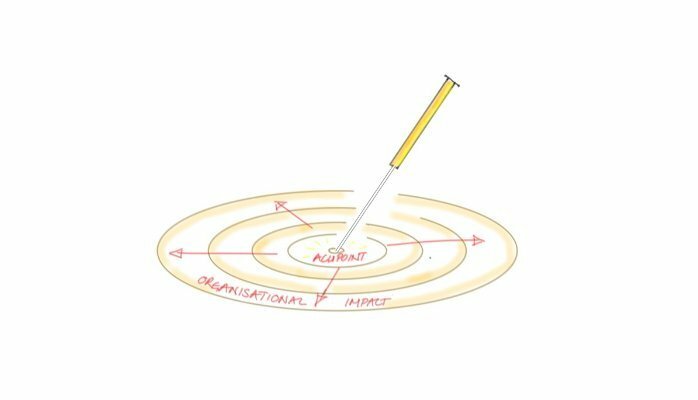 But what impact are they delivering at an organisational level? Are they enabling better business results? Or are they delivering better employee morale and retention? Do you spend meeting time persuading or making robust decisions? I happened to switch on my TV last night and caught Richard Bacon doing a great job of demonstrating the antithesis of facilitation on Channel 4s Benefits Britain – The Debate. What does swimming have to do with strategy deployment?…. 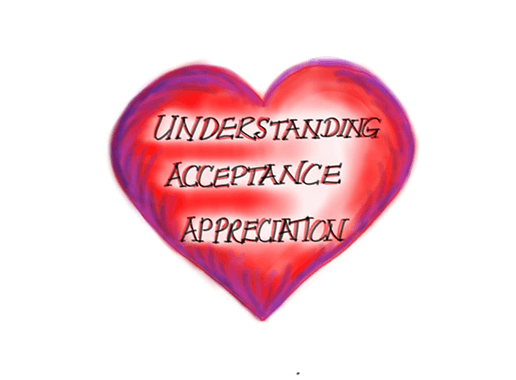 read on….. 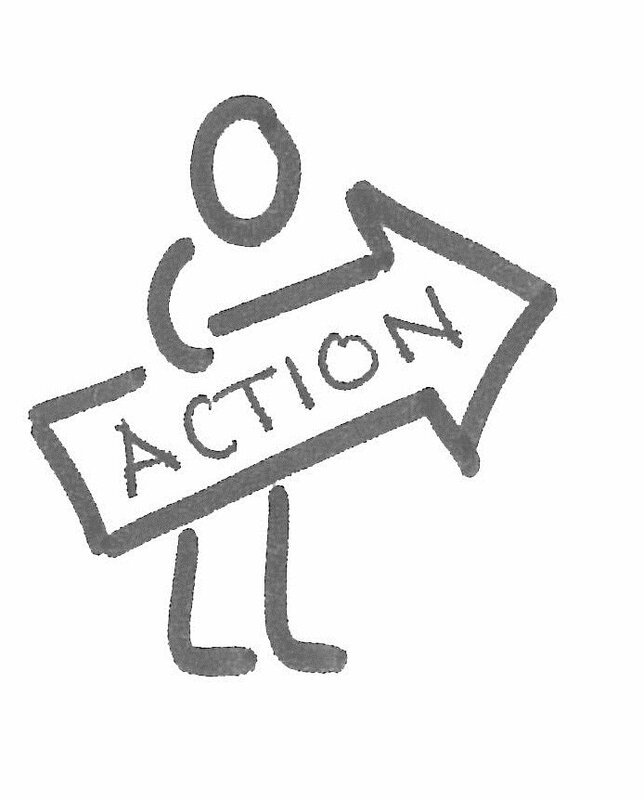 There seems to be a common misconception when it comes to the deployment of strategy in large organisations: “Telling = Understanding = Aligned action.” If only it was that simple!!!! I have just been to the Hygienist today for a routine scale and polish. At the end of my appointment the Hygienist took time to tell me which areas of my mouth are showing the most plaque build up, because I am missing them in my routine teeth cleaning. Is your meeting a puzzle or a mystery? There seems to be a remarkable amount of churn or reorganisation going on amongst our clients at the moment, and, at the same time, we enter a new a academic year. 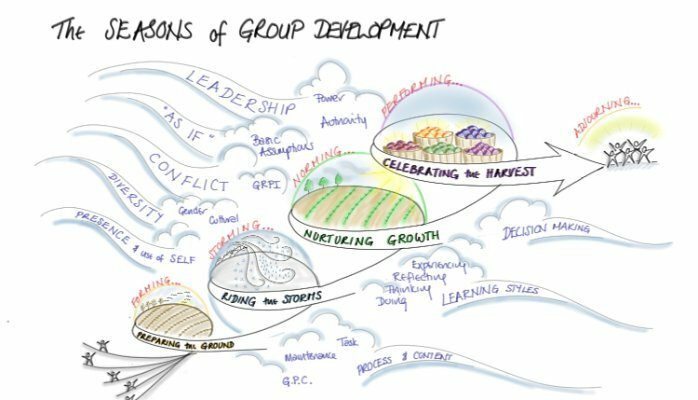 All this leads to many people being in new groups, both as leaders and participants. I was asked today for some advice on using castles and stately homes as meeting venues. My thoughts below might be useful to anyone considering this type of venue for a meeting. 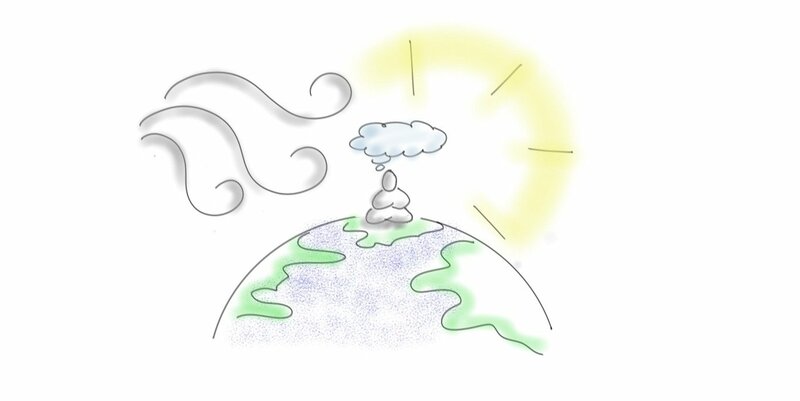 Today is National Doodle Day. 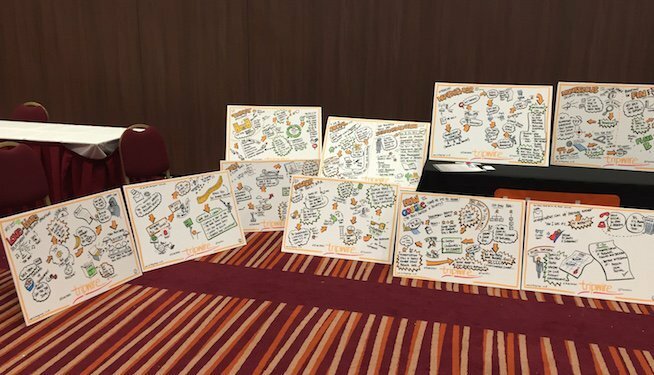 As the visual information revolution continues, there are is increasing interest in the benefits of Doodling in the workplace. 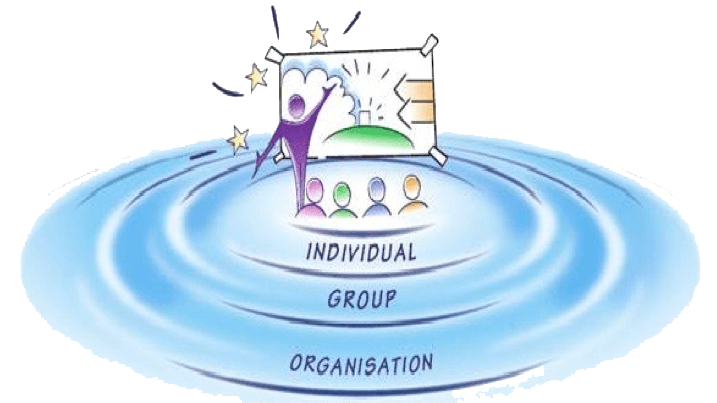 We are in the run up to our next advanced facilitation training course. This course is our flagship course, as it attracts diverse participants with rich experience of facilitation, so we are always developing and improving the programme. I am going to have a bit of a rant I am afraid. However, I am very interested to hear whether anyone has views on this subject…. I had an interesting experience of being facilitated this week. It was an intense 2 hour meeting to resolve a long standing problem. My experience was that I left the meeting feeling like we had made progress, and reasonably OK with the decisions we agreed. I have been struck recently by how much data gets presented in meetings. I think that technology contributes to this problem, by making it so easy to connect laptops to beamers and present endless amounts of powerpoint and spreadsheets. I often get asked whether there is an optimim number of people for a meeting. This question usually stems from a concern, by meeting leaders, about having ‘too many people in the meeting’. I am currently in San Francisco, facilitating a Global Summit for a client. I have been here since Sunday evening and I am completely exhausted. I have only had about 8 hours sleep since Saturday night.This has been partially due to jetlag, but mainly because we are working with some LIVING graphic storymaps. My 8 year old daughter came home from a school trip very excited on Thursday. Her class had been to the local park to do a project. First they had to create a map of the park and then they had to draw ideas for improvement on the map. 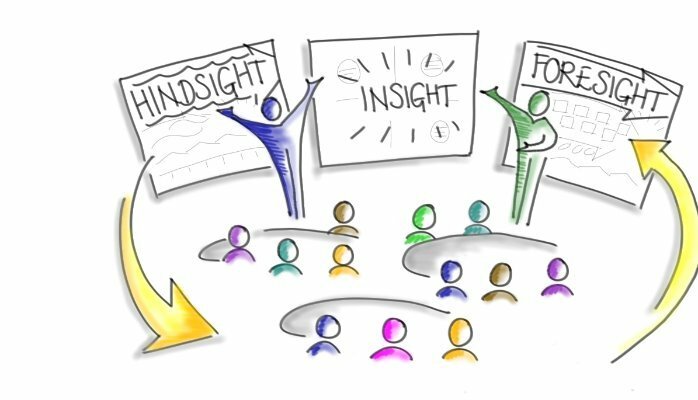 Facilitation is an art, not a science, so we continually have to use our trained intuition to make judgements in the groups we work with. Here’s a great example of a facilitation dilemma from a colleague of mine. What would you have done? I am sitting in the lounge at Seattle Airport waiting for my flight home after three long days of facilitation. I smell, my feet are sore and my body clock has no idea what time it is… but I feel great. 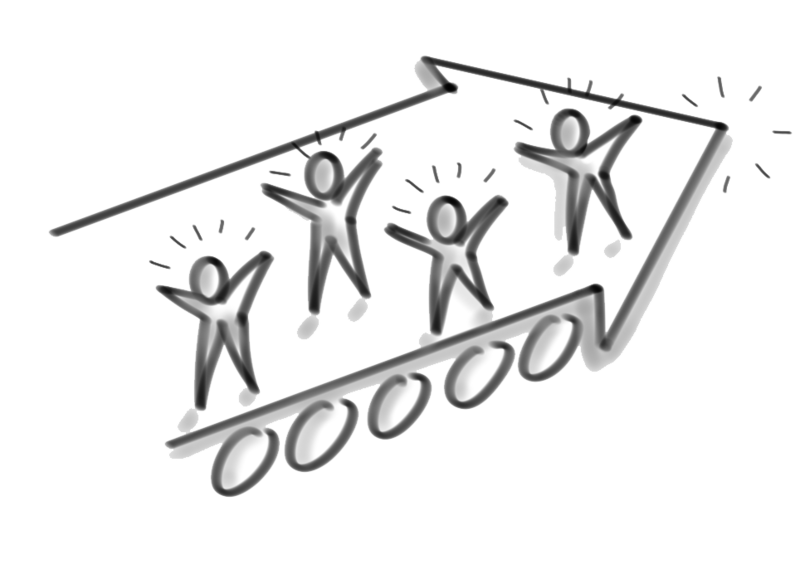 When I work with large groups I always design my meetings for a ‘cabaret’ layout. By this I mean, round tables with groups of upto 8. This layout allows a meeting design that gives depth of discussion at tables, and conclusion sharing in a whole group. This week I was in a training session with an IT developer. We got talking about an IT solution he is working on, to track actions from meetings. At this time of year many of us are involved in reviews and planning for the forthcoming year. This also tends to be a time when people pay attention to reviewing themselves and their personal development. Just back from facilitating a two day session at an Innovation conference for the Higher Education sector. Our session had a real buzz to it and was the talk of the conference. A few weeks ago I wrote about facilitating a meeting in, what can only be described as a sense deprivation cubicle! At the end of last week I had the opposite experience. I facilitated a meeting in the board room of an agency in London which was fantastic. Still on a high from running our first Essentials of Facilitation training programme 🙂 This is an open programme, with all the essentials needed to facilitate productive meetings distilled into one day. It’s aimed at anyone who runs meetings and we had a great group of participants in this first offering. Yesterday I facilitated a workshop at a Branding Conference and was unable to know the room details until I arrived. I had done all my preparation, and had a creative design to get 30 people engaged in some work in a 90 minute session. Then I saw the room!!! 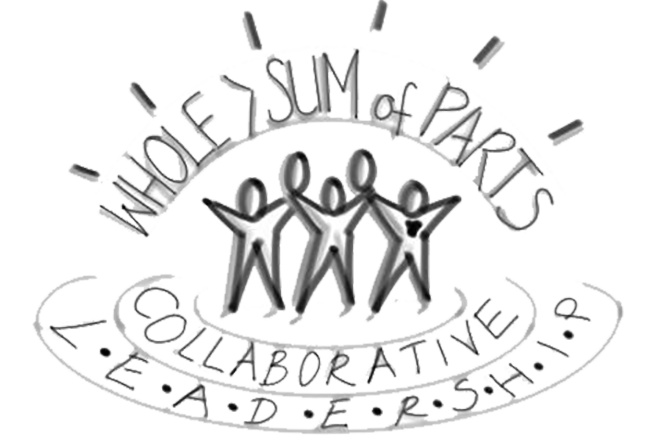 The children are back at school, so what about our learning and development? I think I am not alone to be relieved to have my children back at school! I love the summer holidays, but all good things must come to an end :-)! It’s not what you say, it’s the way that you draw it! In two recent meetings I have been struck by the way people interpret the way things are drawn. As a graphic facilitator, this is something I pay attention to anyway, but the specific thing I have noticed is the UNINTENTIONED MEANING people can add to something because of the way it is drawn. This week Meeting Magic celebrated it’s 10 year anniversary. To honour this occasion we went to Henley Regatta for the day. We all dressed for the occasion, and thoroughly enjoyed being spoiled rotten. 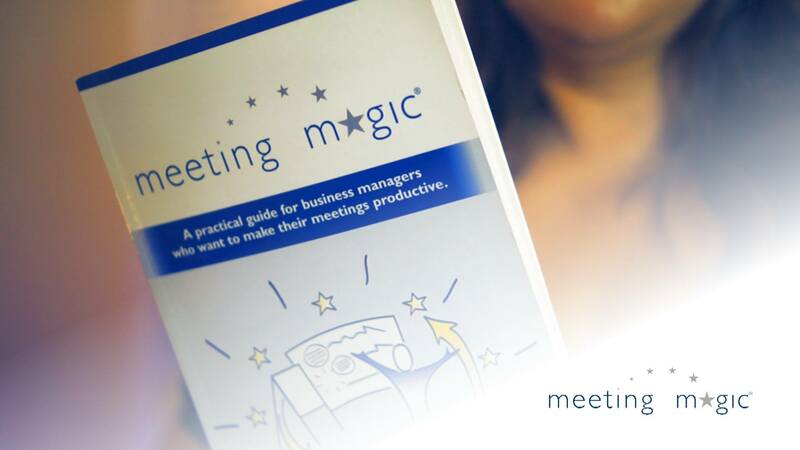 In Meeting Magic we talk about ‘going the extra mile’ to ensure that a meeting is successful. This week, we have been tested to see whether we really will walk the talk. Last week I ran a facilitation training. As usual at the end of the course, I asked the delegates to complete a feedback form, to assist with the continuous improvement of the programme. This blog entry is a bit rude, so please don’t read this if you are easily offended! This week I traveled to Switzerland to take part in a facilitation demo with a handful of facilitators who work with The International Union for Conservation of Nature. It was a real honour to be invited to take part in this session, which was aimed at showcasing a variety of different facilitation approaches. 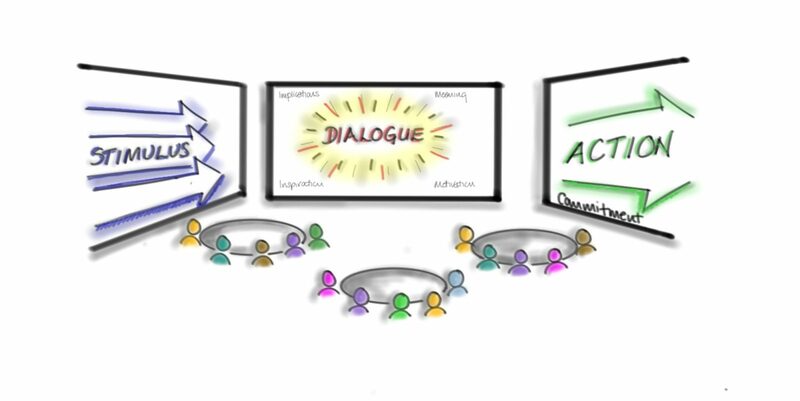 Several of my early blog entries extolled the virtues of having clear outcomes for meetings, and the importance of outcomes for each session within a meeting. I still believe that for 99% of business situations this is appropriate advice, and that the lack of outcome focus is the main cause of poor meetings. There is a myth, that a facilitators role is a passive one. One in which they might record points of discussion faithfully, or offer time checks meekly! I once heard a horror story from a client, who hired a facilitator. Not a Meeting Magic facilitator I hasten to add. It seems that many of the clients I am working with at the moment are saying they need to be doing more with less. Today the Meeting Magic team have been facilitating a large meeting for 350 people. One of the great things about the meeting was the room we were in, and the layout. We worked in a HUGE circular room, arranged with cabaret-style tables of 6 in concentric circles, with a small stage in the middle. 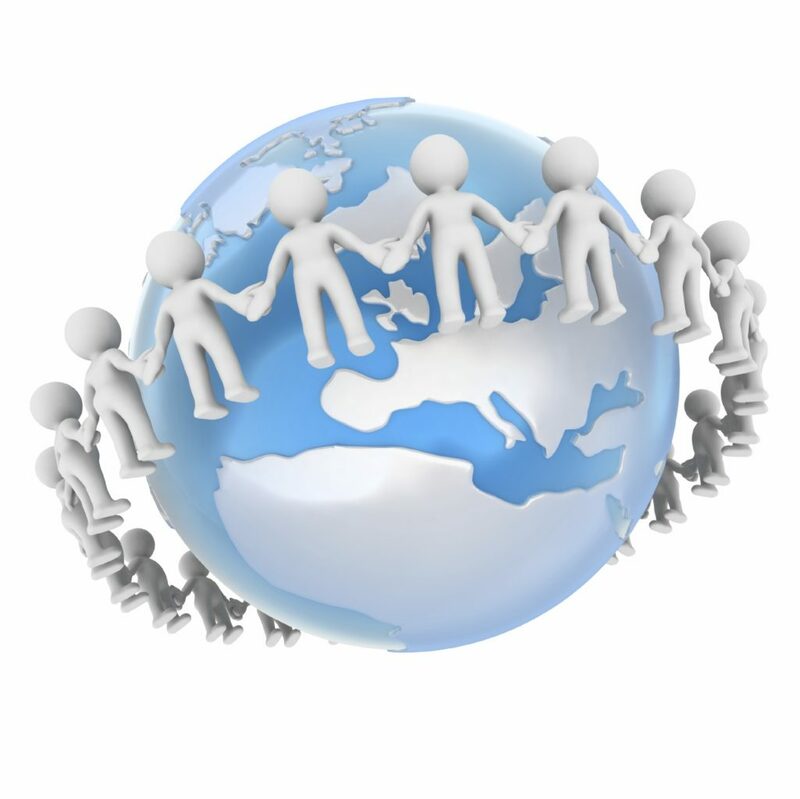 The use of virtual meetings (conference calls, video conferences, web-based meetings) is on the increase, as a result of globalisation and technological advances. However, in the current economic downturn, budgets are being slashed and travel bans enforced, which means people are turning to virtual meetings where it is not appropriate. 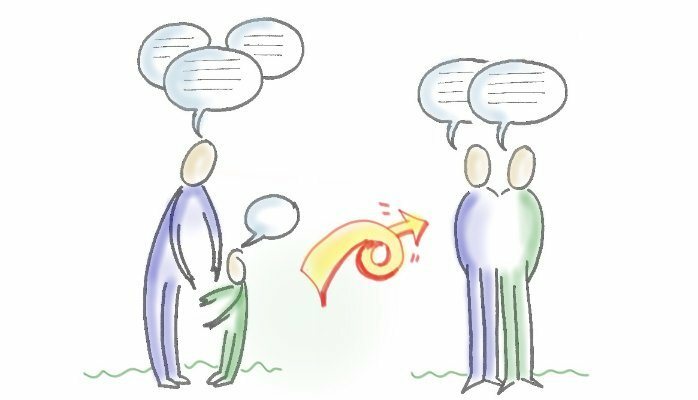 Meetings should be about conversations that move our organisations forward, but all too often this gets forgotten and they become forums in which people present at each other and the dialogue gets lost. Don’t underestimate the role of the most senior person in your meetings! I have learnt the hard way that it is critical to the success of any meeting to engage the most senior participants in the design. When we facilitate meetings the expertise we bring is in the design of the process to enable productive conversations. This is how we are able to facilitate meetings for such a diverse range of groups. I have decided to start the blog so that I can rant about how appalling most meetings are and also offer an alternative way of managing meetings to those that want to pioneer a different way of working.